Linda Johnson is known as the First Lady of Poker for her pioneering efforts to open doors for women in the poker industry. 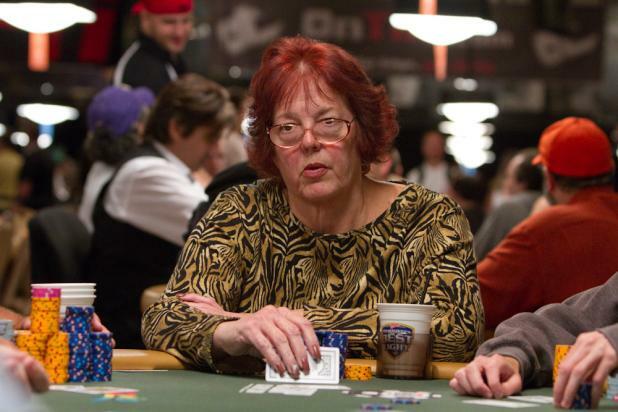 She was the publisher of Card Player magazine during much of the 1990s, and won a WSOP bracelet in razz in 1997. Here, she goes for the second bracelet of her career in Event #31 ($1,500 H.O.R.S.E.). Chip Jett is making a deep run in Event #31 ($1,500 H.O.R.S.E.). 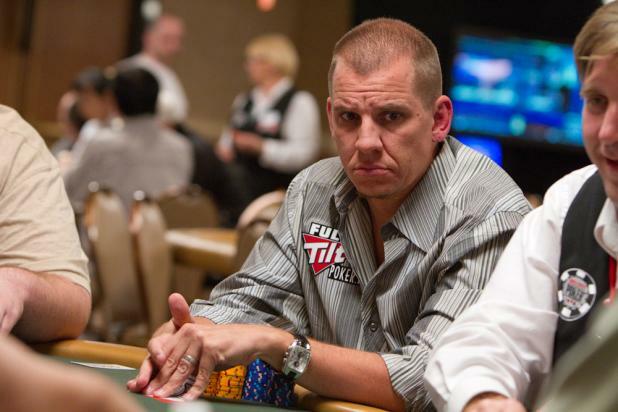 It's particularly notable because when Chip began his run in this event, his wife Karina was at the final table of Event #27 ($1,500 Seven Card Stud Hi-Lo), where she eventually finished fourth. Chip has already made the money in this event, but is looking to make the final table and bring home the family's first WSOP bracelet. 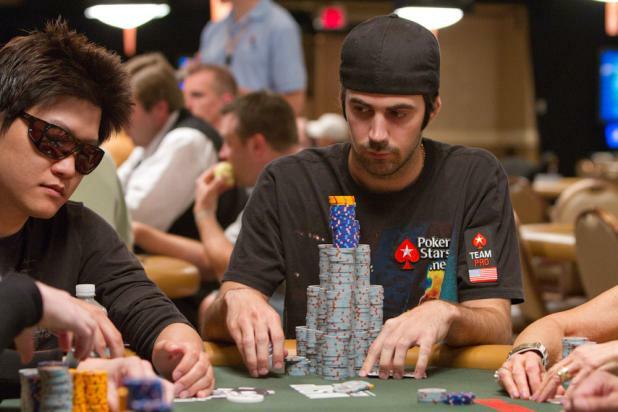 Jason Mercier (right) won his first WSOP bracelet last year on his way to winning Bluff Magazine's 2009 Player of the Year award. On his way to last year's victory, he amassed a huge chip stack that dwarfed everyone else in the tournament, similar to this one here in Event #31 ($1,500 H.O.R.S.E.). However, there is one key difference -- this tower is built primarily from the smallest denomination of chips. It takes 50 of those grey (100) chips to equal a single orange (5,000) chips. Mercier won't be winning his second bracelet in this event, as he was eliminated (in the money) a little while after this photo was taken. 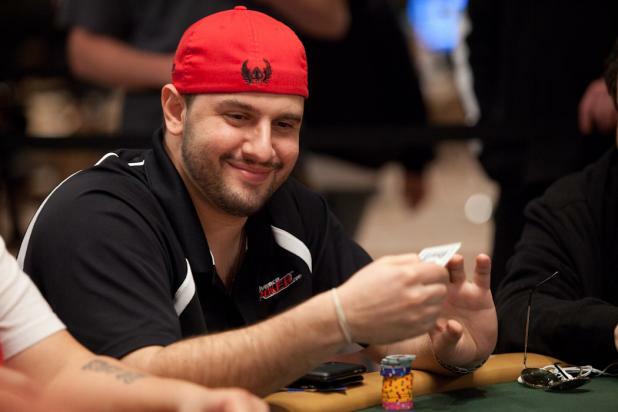 Michael "The Grinder" Mizrachi already has a WSOP bracelet and two final tables this year, kicking off the Series with a victory in Event #2 ($50,000 Poker Players Championship). Now that he's made Day 3 of Event #29 ($10,000 Limit Hold'em), an eighth or higher finish will tie him with James "Flushy" Dempsey for the lead in the WSOP Player of the Year standings. If he makes the final table (final nine players), he will become the third player this year to make three final tables in $10,000 or higher buy-in events (along with Vladimir Shchemelev and John Juanda). Less than two months before the WSOP began, Liv Boeree won a European Poker Tour event in San Remo, Italy, outlasting a field of 1,240 players to win nearly $1.7 million. With two WSOP cashes already under her belt this summer, Boeree is looking to add a WSOP bracelet to her resume in Event #31 ($1,500 H.O.R.S.E.). You'd be hard-pressed to find someone more well-rounded than Boeree; in addition to her poker skills, she plays heavy metal guitar and studied physics and astrophysics at the University of Manchester in England. 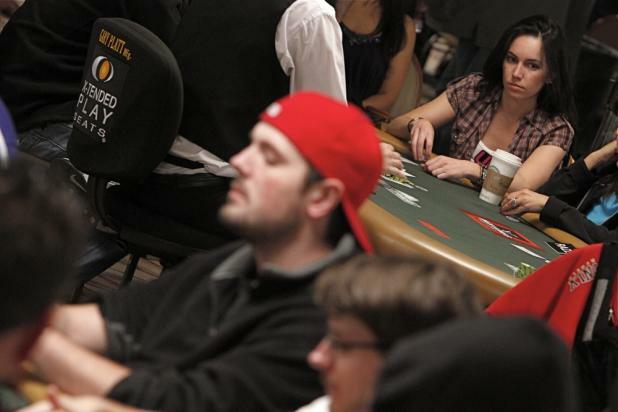 Boeree's boyfriend, poker pro Allie Prescott (foreground, red cap), is playing the same event. Like most casinos, the Rio doesn't allow dogs and other animals -- unless they are service animals. 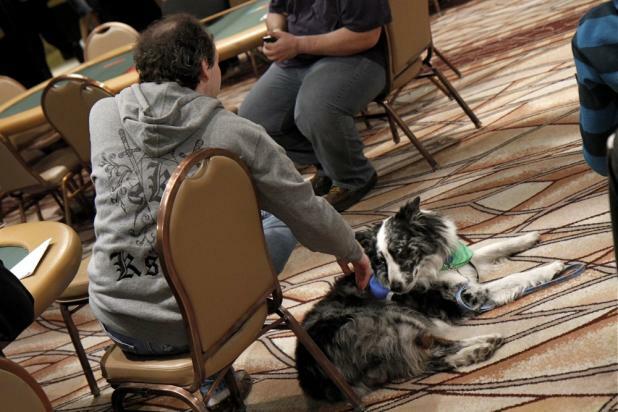 This service dog doesn't belong to Allen "Chainsaw" Kessler (seen here waiting for Event #31 to restart after dinner), but Kessler might be trying to lure the dog into giving up some poker advice -- the rule is one person per hand, and says nothing about service animals. Friends both on the felt and off, Maria Ho (left) and Vanessa Rousso play side by side on Day 1 of Event #31 ($1,500 H.O.R.S.E.). Ho started the event (which started at 5:00 pm) after busting from Day 2 of Event #29 ($10,000 Limit Hold'em) earlier in the day, and would survive to Day 2 of this event as well. 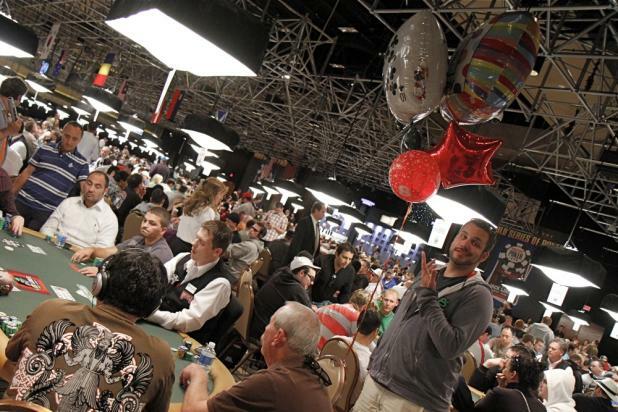 Adam "Roothlus" Levy received some very large birthday balloons from his girlfriend while he was playing on Day 1 of Event #30 ($1,500 No-Limit Hold'em). Levy turned 28 years old, and to ensure that he didn't ditch the (potentially embarrassing) balloons, his girlfriend made him promise to bring them home at the end of the day. 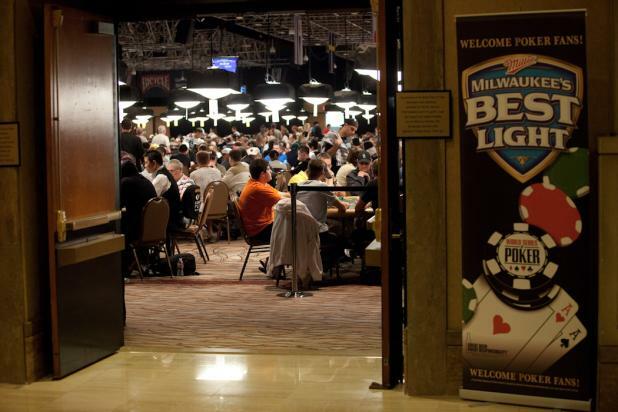 This is the view of the Pavilion Room from the hallway, as Event #30 ($1,500 No-Limit Hold'em) gets underway. The Pavilion Room is where the large-field events begin, while the smaller Amazon Room is where players find themselves on Days 2 and 3. It creates a situation where players need to "play their way" into the Amazon Room if they want to finish in the money and win a WSOP bracelet. 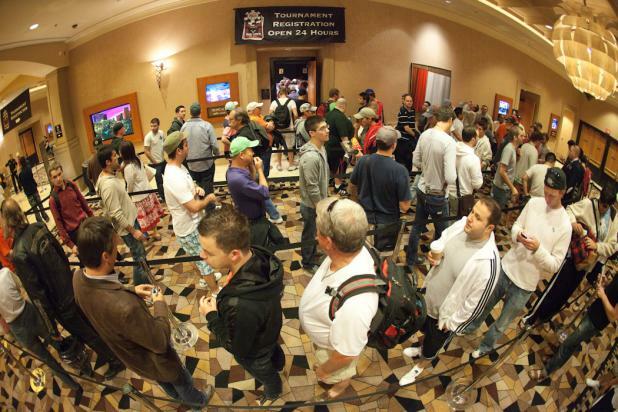 The line to register for Event #30 ($1,500 No-Limit Hold'em) stretches out into the hallway.